All those neurons. The way it thinks. How it handles information. How it feels. The emotions. Could the brain even evolve more? clueless wrote: Evolution knows no bounds. Depends on what you mean by evolution. What do you mean evolve "more"? If you mean could brains get more complex, that is not the same as more evolved. Evolution is not a linear heirachical system. If the pressures of selection favour less intelligence and less complexity then that is the direction of evolution. There might even be evidence that evolution is not favouring more intelligence as many smart people choose not to have children at all; whereas stupid people might not have the nounce to choose appropriate contraception. 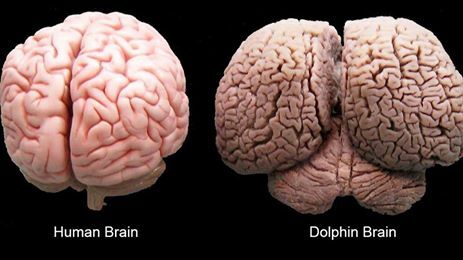 The brain of the Blue Whale is more complex than the human brain, btw. The development of intelligence may not be fast enough to preempt most of its major side-effect stupidities and contrary to intent, negate itself in the process. The way 'intelligence' operates in humans, it seems forever short changed in catching up to itself. Intelligence is like a bolus to cure a disease called stupidity only in this case it's going to kill you faster than the disease itself. Maybe we can settle for regarding the human brain as the most complex thing it can hope to understand. Philosophy Explorer wrote: All those neurons. The way it thinks. How it handles information. How it feels. The emotions. Could the brain even evolve more? Brains and neurons have no causal powers. They cause none of our perceptual experiences, and none of our behaviour, says Prof Donald Hoffman the cognitive scientist. The Milky Way galaxy is the most complex "object" in the universe known to man. My understanding is that the human brain has the greatest level of complexity in relation to mass. He never said mass. How does Andromeda compare to the flea brain, mass-wise? What are the methods of comparing? And then, too, you'd have to consider mass/volume ratio, or density. No, no, it's just too thorny a problem! Brains have no consciousness. So nothing in it that could be classified as complex. The word 'complex' is an arbitrary subjective idea. A brain is like a computer, computers don't have consciousness; a brain made of matter is biological computer, it's a natural computer, not artificial.